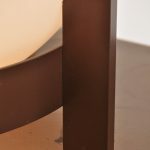 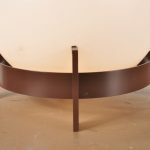 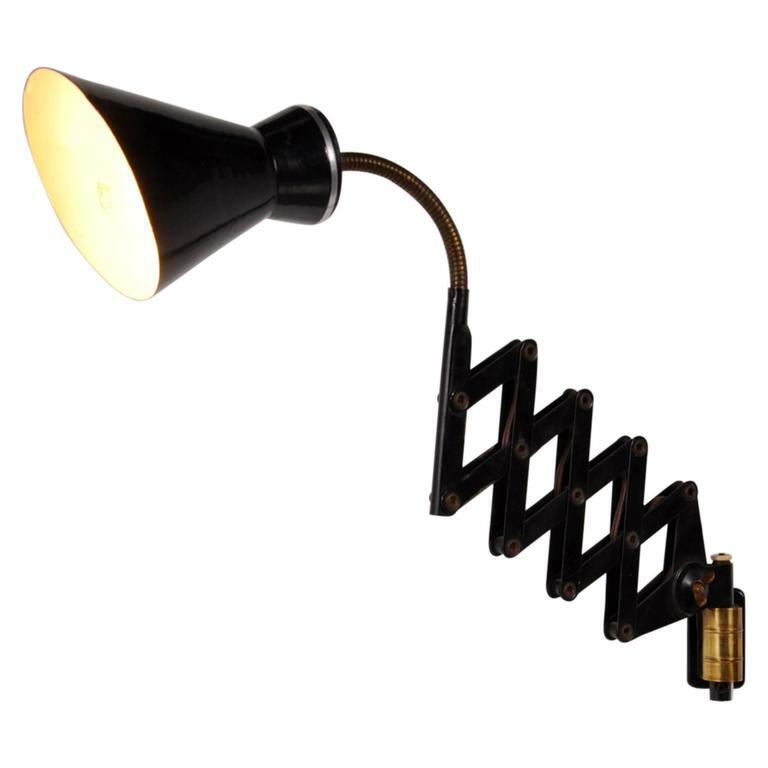 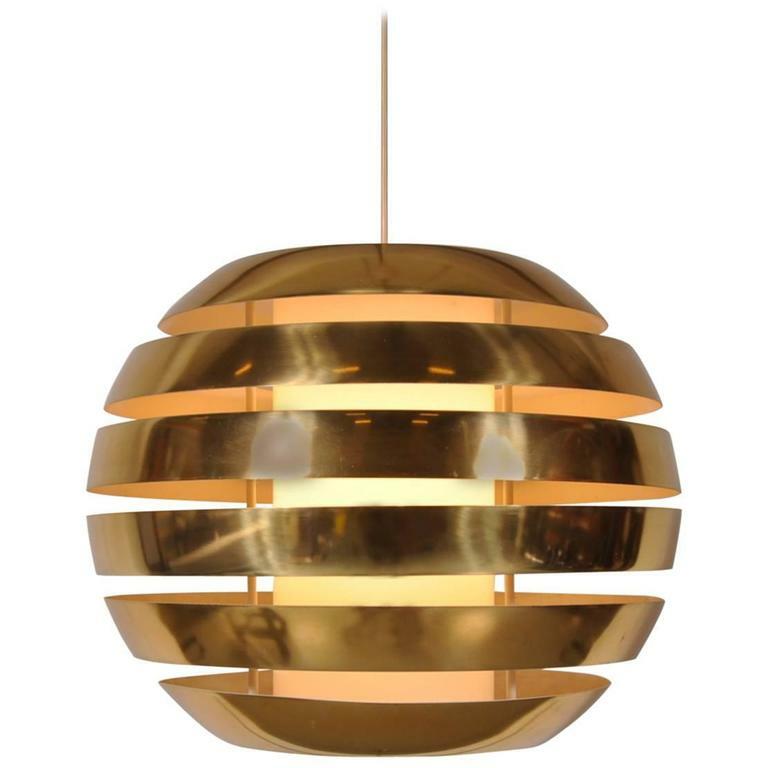 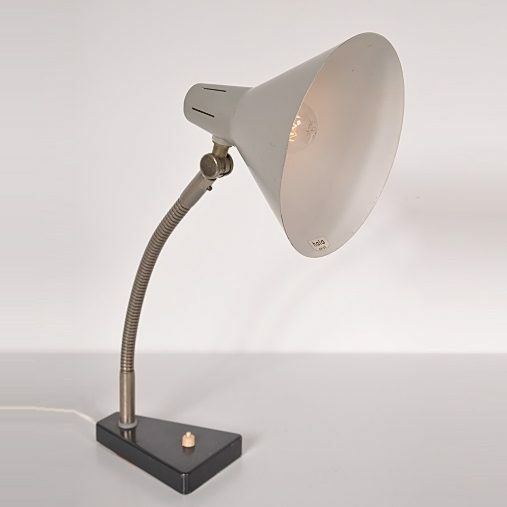 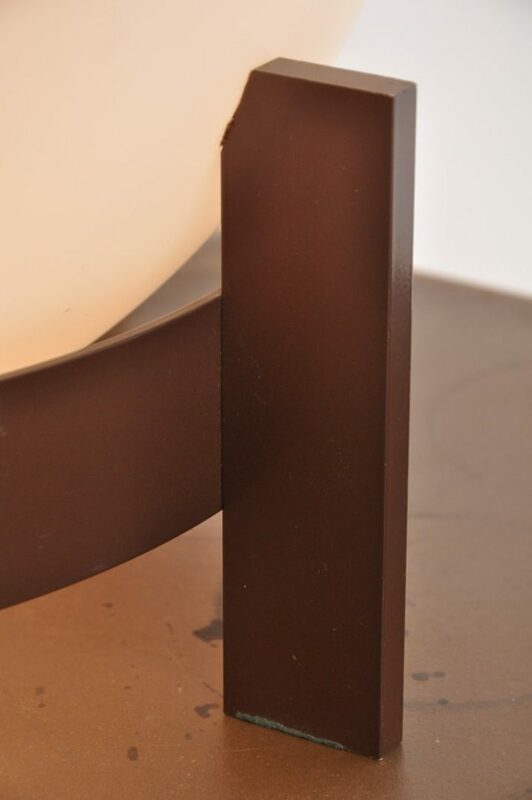 This beautiful lamp is a truly outstanding piece of German design! 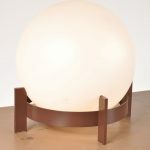 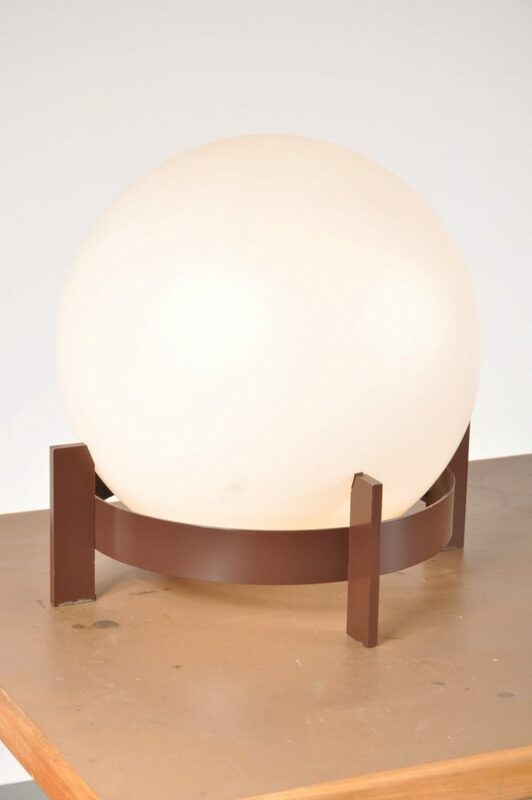 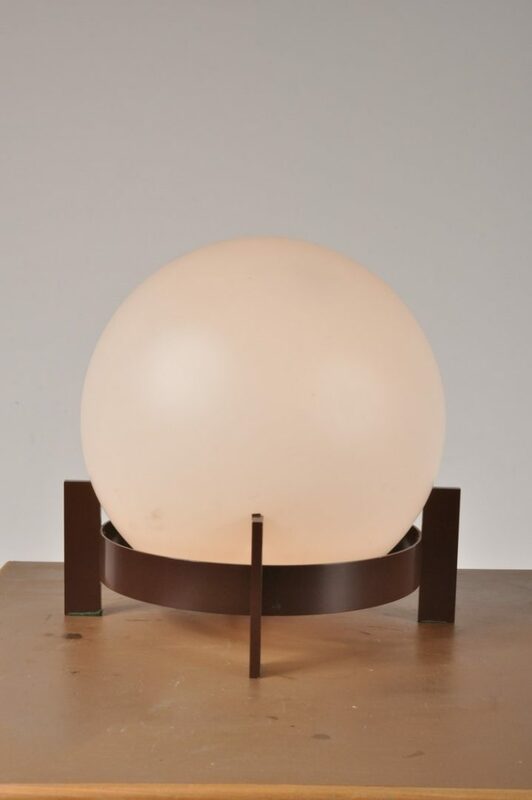 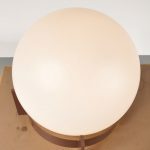 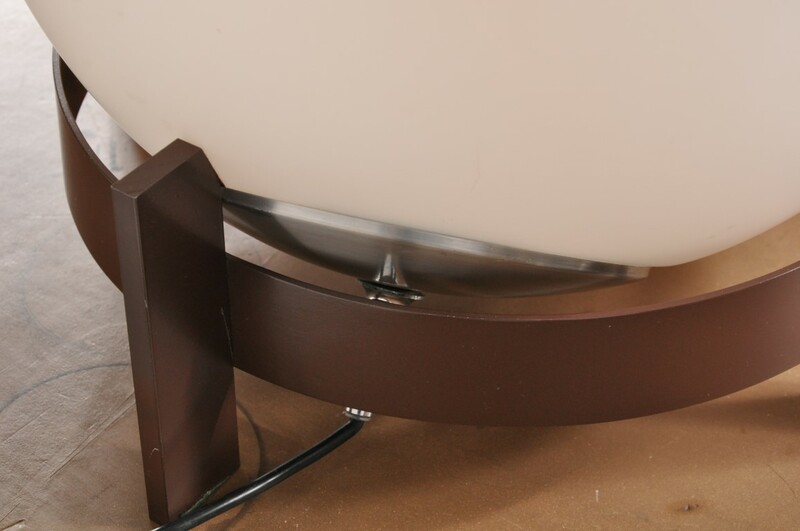 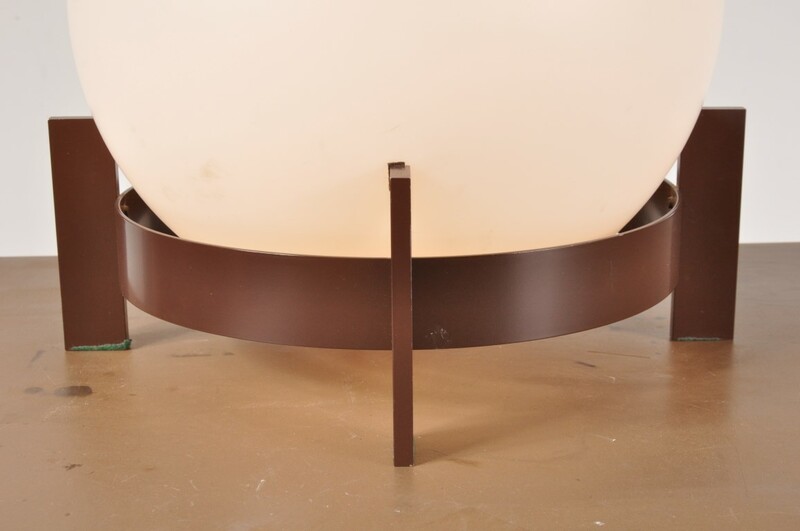 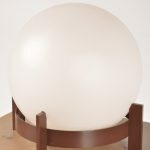 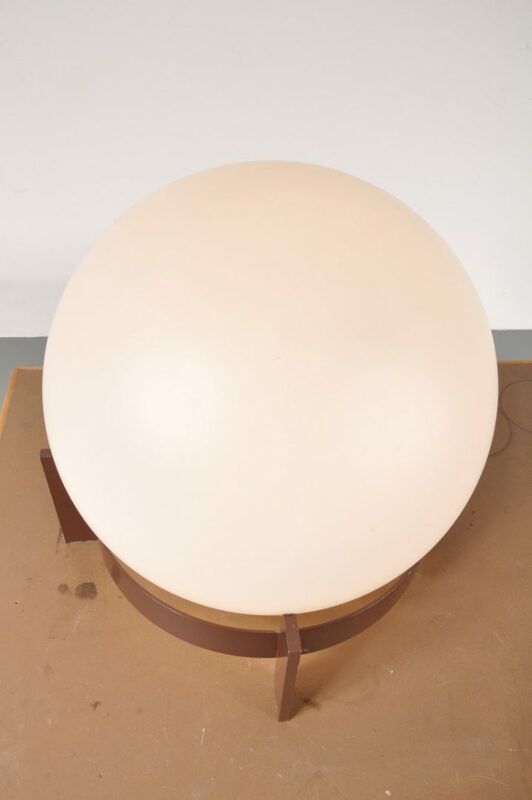 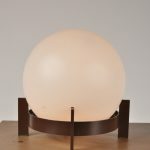 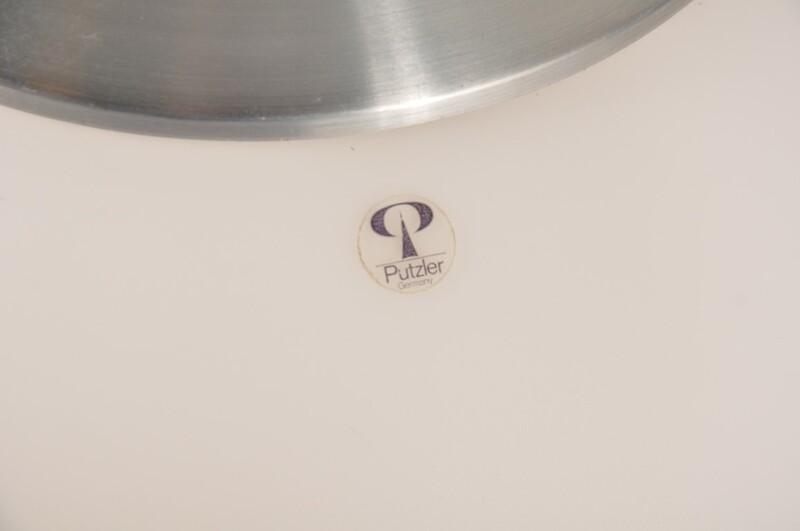 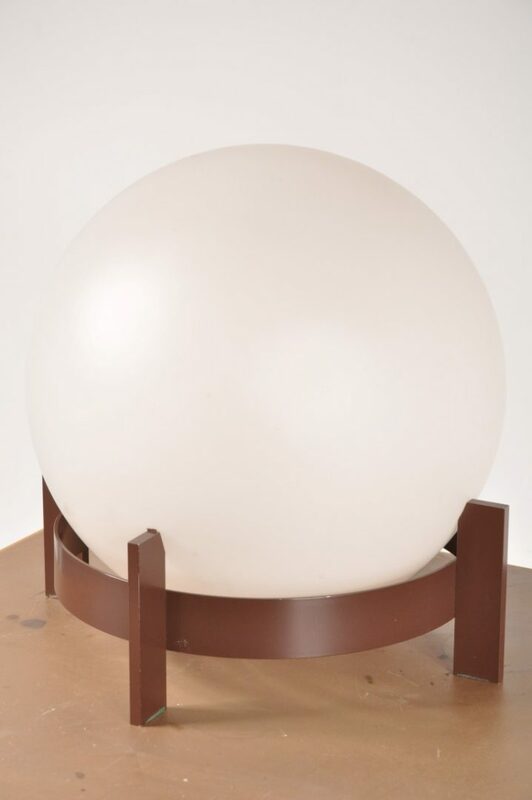 The brown metal base holds a big milk glass ball. 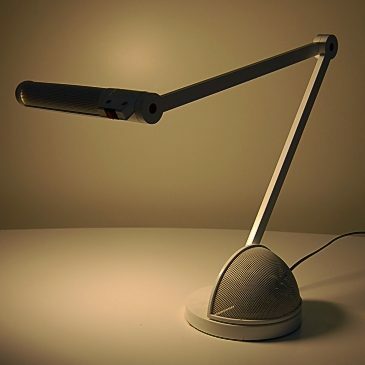 When switched on, the lamp emits a very nice, warm light. 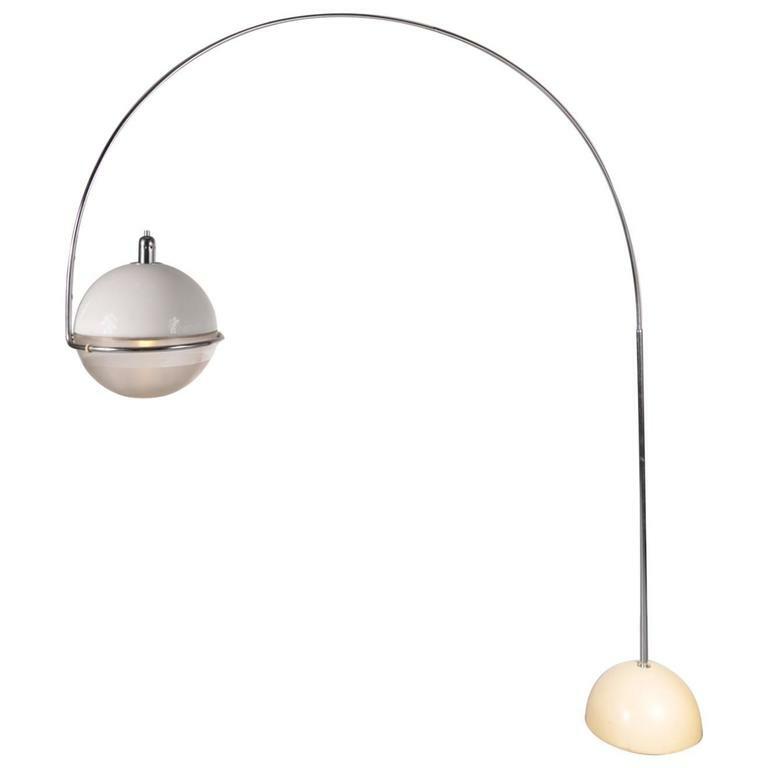 Even when switched off, this lamp would make a wonderful contribution to any interior. 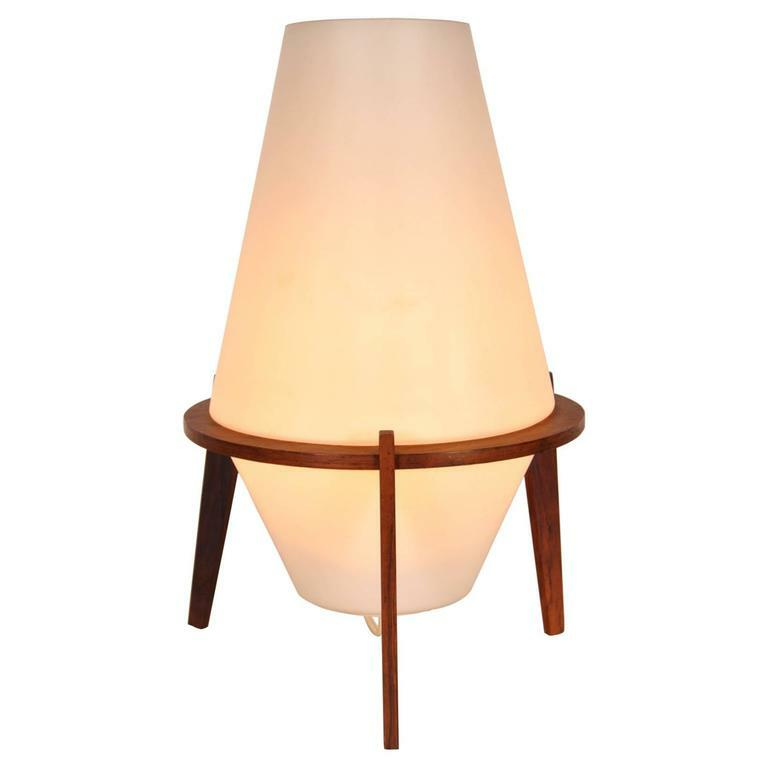 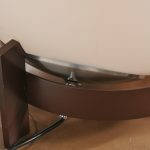 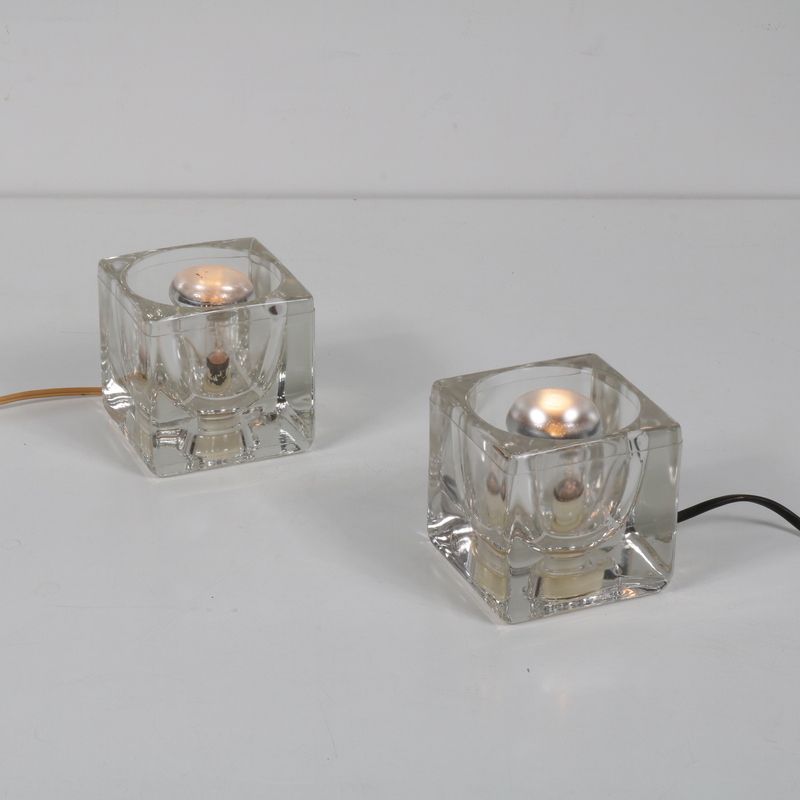 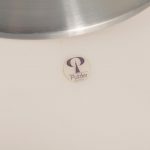 It could very well fit on a table, but can also be placed on the floor to add a unique modern style to your decor. 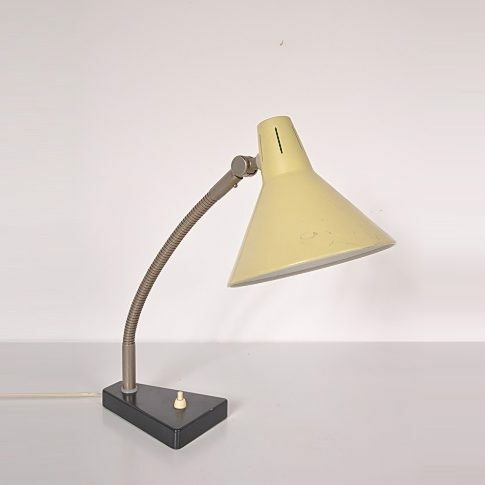 It remains in very good, vintage condition.